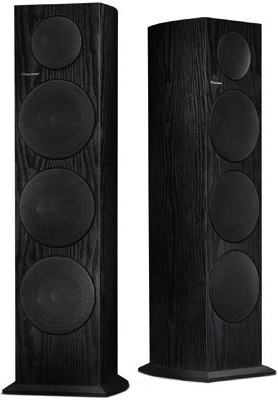 Pioneer today announced the SP-FS51-LR floorstanding speakers, part of its new speaker line for home theater and music reproduction, designed from the ground up by Pioneer USA’s chief speaker engineer, Andrew Jones. The entire line, featuring bookshelf (SP-BS21-LR, SP-BS41-LR), floorstanding (SP-FS51-LR) and center channel (SP-C21) speakers as well as a subwoofer (SW-8), is engineered to deliver exceptional audio performance, whether used as a two channel music system or a full 7.1 channel home theater system. Andrew Jones is MY Hero !!!!!!!! He did my Infinity Preludes that wore out, I will buy these!